Can a Person With a Tattoo Be Buried in a Jewish Cemetery? Is it true that if I have a tattoo I cannot be buried in an Orthodox cemetery? I’m not referring to Holocaust markings. The Torah1 forbids us from tattooing our bodies. Nonetheless, one who has had tattoos can still buried in a Jewish cemetery. That said, every Jewish burial society has the right to enact its own criteria for who may and may not be buried in their plot. This stems from people’s desire (or right?) to be buried in proximity to others of their choosing. So while technically there is nothing in Jewish law which prohibits a tattooed person from being interred in a Jewish cemetery, certain burial societies—not the majority of them, or even close—will not bury among their own a person who willingly tattooed him- or herself, as it is a permanent exhibition of violation of Jewish Law. This practice by certain burial societies led to the common misconception that this ban was an inherent part of Jewish law. Is there a prayer recited when traveling? How Many of the Torah's Commandments Still Apply? Which prayers are omitted when praying alone? Is a Kohen allowed to attend the funeral of a loved one? Is a man allowed to dye his hair? "cut off from the G-d of Israel and the Jewish nation" ? why is this not quoted ? Tattooing As a non-Jew I nevertheless have deep forebodings about tattooing. I believe there are strong links with the occult in the practice. Tattooing (body piercing and scarification) in my mind, has links with has links with savagery and even cannibalism. I won't say more because I sound like a nutcase to many of you at this. Here's a twist I'm a Breast Cancer survivor. Probably the dreaded gene. After 15 years of starring at one side I had a beautiful tattoo placed on my breast. 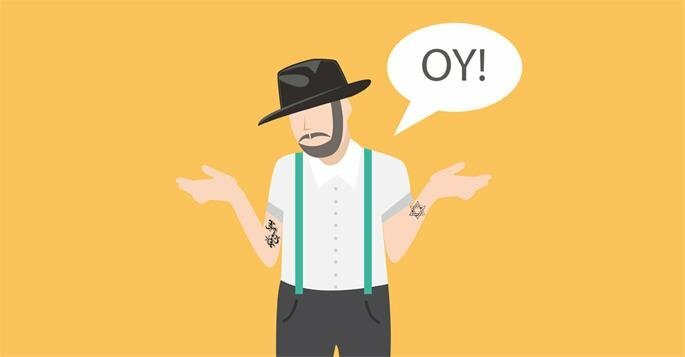 Whoever is Jewish and knows tattooing is forbidden and still gets one is really wrong. Is it so difficult not to get a tattoo? It clearly states in our Torah that you must not do it! It is not about resisting the temptation! It's about living your life freely. I am a Jew and I respect my religion! Does that mean you eat pork because you want to live freely? Tattoos and Jewish Burial No one has the right to judge another. Hashem is the only one who we are accountable to on the end. Are you saying that all the Jewish soldiers with tattoos in Israel cannot be buried where their families want or in the soldier's cemetery?